Google voice is available for all the operating systems through the Adobe AIR platform through the Google Voice AIR app, the Mac OS X users will be able to use Google voice through an application Voice Mac which includes Google contacts, the address book contacts in mac and also it has Growl support for SMS and Voicemail options. 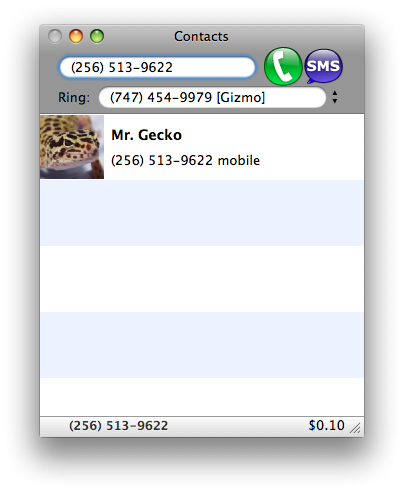 This is a simple application that can list contacts from your google accounts, and also loads the list of calls made or received, the same being done with the address book contacts in mac. It is like an instant messenger which opens separate windows for different contacts and chats, call history with them. 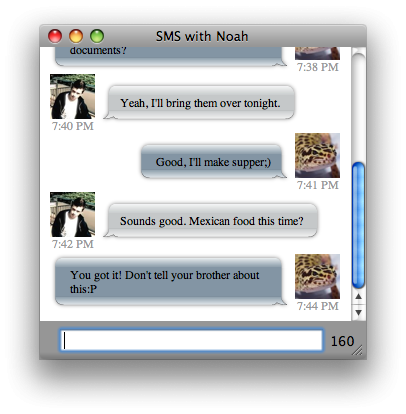 The SMS conversations appear just like an iChat window, with messages one below the other. Download the Voice Mac app from here.